Jasmin’s interest in music began with his first violin lessons at the age of six. He later turned to piano, drum and trombone, playing in many classical, jazz and rock groups. He received a degree in electrical engineering from Montreal’s Ecole Polytechnique in 1998, where he realized several projects related to digital audio, including the design of audio effects algorithms such as chorus, flange, reverberation, and compression. He was awarded a grant from the Audio Engineering Society’s Educational Foundation to study at the University of Miami, where he performed some research in the field of digital reverberation. 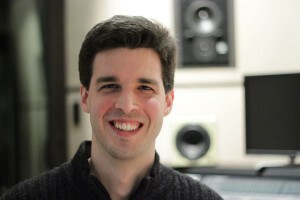 Chief Recording Engineer for the University of Miami’s Recording Services and Licensed Recording Engineer at Weeks studio, he recorded various students and local artists. He received his M. Sc. Degree in Music Engineering in 2000. He now pursues his career as a software developer for Autodesk in Montreal. He also performs as trombone player and drummer, and he is the owner and main recording engineer of Crawford Studio.